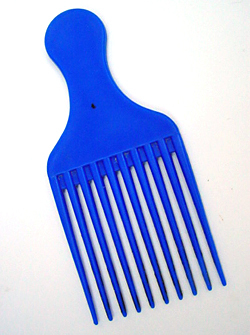 Before being diagnosed with breast cancer I always carried a blue comb in my purse. Then while going through treatment I lost my hair, but I kept the comb as an encouraging symbol that I would recover and need it again. Later, after my hair grew back, I returned the comb to my purse, which gave me the feeling of complete recovery.